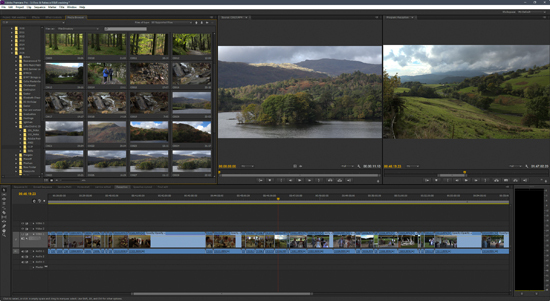 With the growing popularity of still cameras that incorporate video capture, photographers must now be proficient in both image and movie editing skills. For professional quality results, especially in colour correction and colour grading a high-quality monitor is an essential item. 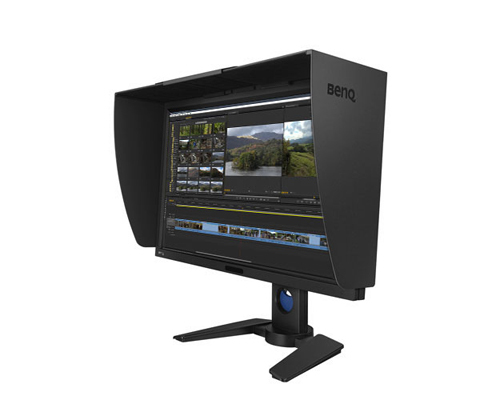 The BenQ PV270 27inch monitor, is the latest addition to the impressive range of BenQ monitors that caters for both stills and video editing. At first look the PV270 may appear to be a basic monitor, but power it up and you have a display that will impress the most demanding of photographers and videographers. The BenQ PV270 retails for £788.40 (inc. vat). 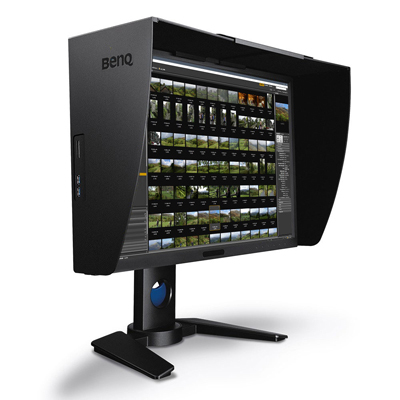 The BenQ PV270 is a 27 inch LED backlight monitor with a display area of 596.7 x 335.7 mm. The screen has a native resolution of 2560 x 1440 pixels with an aspect ratio of 16:9 – ideal for video editing and for displaying multiple open applications. The monitor is capable of producing 1.07 billion colours, but not all can be displayed at once, it has a contrast ratio of 1000:1 / 250cd/m2 with a dynamic contrast ratio of 20000000:1. 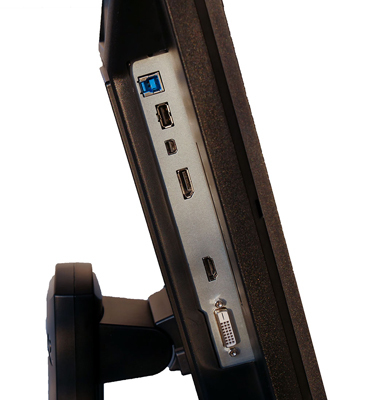 The monitor also has a USB 3.0 port which connects with a supplied cable to a computer, this provides 1 upstream and 2 downstream ports. 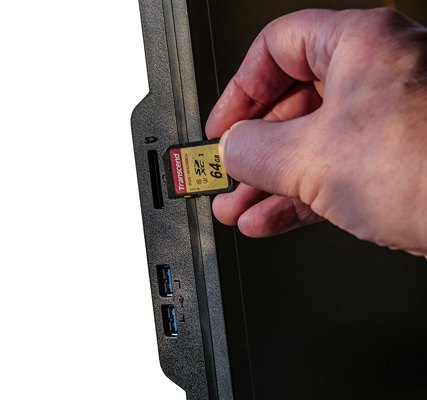 A SD card reader together with the two USB posts are located at the side of the monitor. The monitor can be tilted (down/up) by -5⁰ to 20⁰, swivel left/right 45⁰/45⁰, height adjustment 135mm and pivot 0⁰ – 90⁰ clockwise (could be useful for portrait orientated photos, or desktop publishing applications). A Monitor hood is supplied for shading the screen from ambient room light. The BenQ PV270 monitor is supplied in a large flat pack box and has to be assembled, an easy to follow illustrated step by step quick start guide is supplied. For the most part assembly is straightforward, although the multi section shading hood may require a bit of patience to assemble and fit. 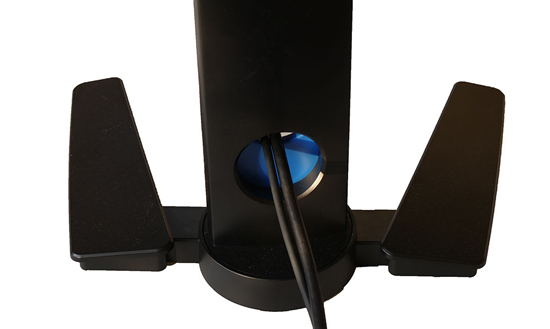 The monitor stand compromises of both a base section and supporting arm, the screen clicks onto a supporting arm bracket, once in place make sure you don’t press the quick release button to avoid an expensive crash. Next connect the supplied cables; Power, DVI-DL, USB 3.0 and HDMI cable (not included). These all connect to the rear overhanging section which can be awkward, especially fitting the DVI-DL cable, rotating the screen to the upright 90⁰ position will make it easier to connect each cable. Once connected to the PC turn the on the main power supply switch (located at rear of monitor), then turn on the BenQ PV270 using the power button on the front panel. The monitor can be easily positioned to your desired angle with tilt, swivel and height. The supporting arm is spring loaded and balanced to keep the monitor in position. Next, the screen resolution needs to be set from your PC, the PV270 has a native resolution of 2560 x 1440 pixels, ensure that your graphic card can support this. The monitor control keys are located on the front control panel; these are touch sensitive rather than physical buttons. Press any key to access the main menu, a set of icons appear above each key which are now lit. 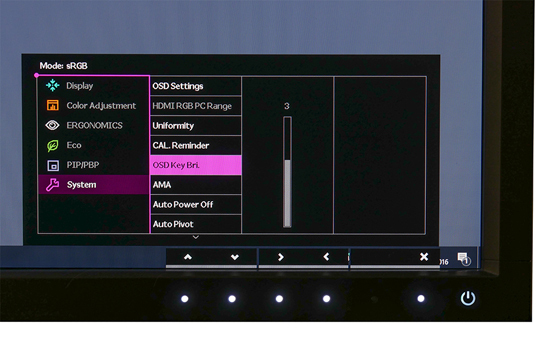 The first four buttons are pre-programmed as hot keys to give you access to Input, Colour Mode, Brightness and Contrast. 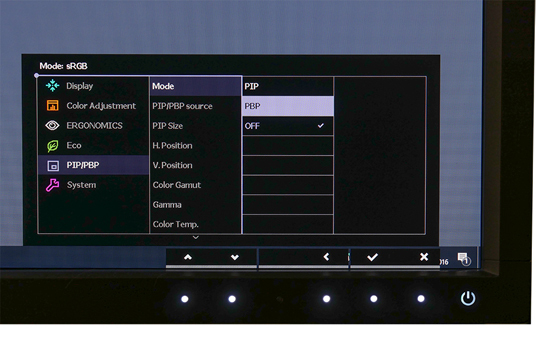 The keys can also be customised to provide you with other functions such as Gamma, Colour Gamut, Black point and PIP (Picture in Picture). The last two keys are Main Menu and Exit. When an option is selected the touch keys act as navigation keys, this enables you change the options or fine tune the settings. We liked the bottom of the screen positioning of the menu options, this ensures that the main screen is not obscured when making fine adjustments. When the BenQ PV270 is first switched on there may be a message saying No Cable connected. 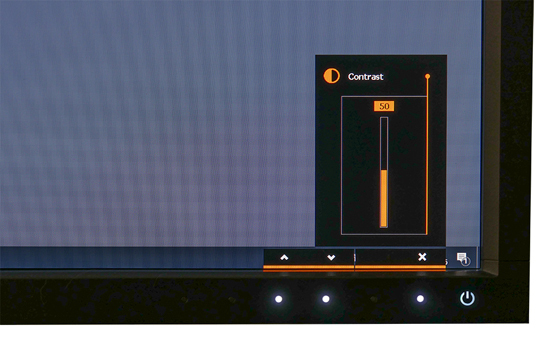 Just press a control key and selected the icon that represents the connection you are using (DVI-DL in our case), now the screen will display your Normal Window/Mac screen. 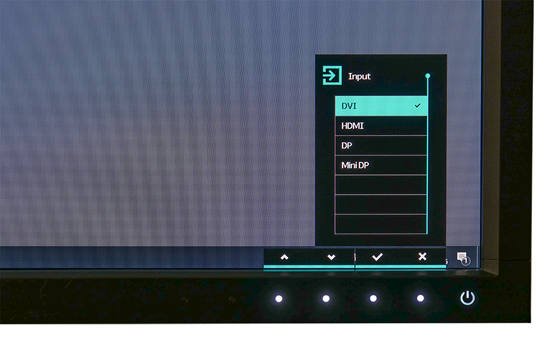 Inputs can be changed using the first Hot key, you can connect a camera directly using a HDMI cable etc. 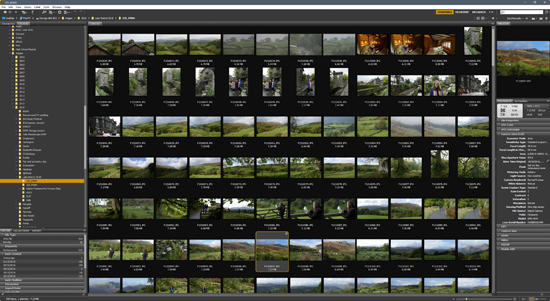 A second input device can be displayed using the PIP option, in effect you could view photos that are on a digital camera whilst working in your editing application. 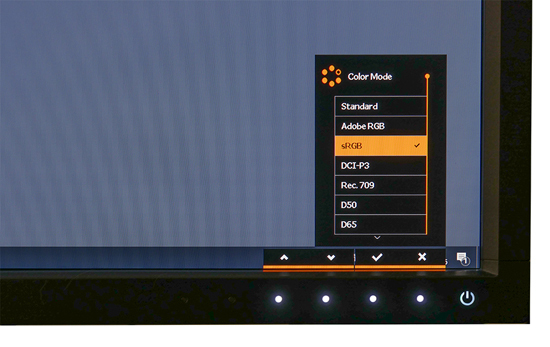 The Colour mode offers several options including; Standard, Adobe RGB, sRGB, DCI-P3, Rec 709, D50, D65, Calibration 1, Calibration 2, Custom 1 and Custom 2. For photography work select sRGB or Adobe RGB. sRGB will be the preferred choice if you are printing using an inkjet printer or intending to display photos/video on web sites or for on screen presentation. 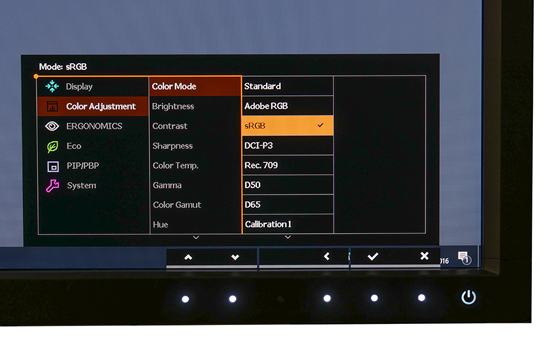 Adobe RGB has the wider gamut and will display more colours the PV270 accurately displays 99% of Adobe RGB colours. 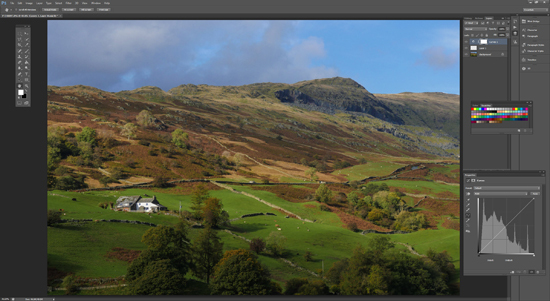 However, the web does not support Adobe RGB so your photos may look dull when uploaded to the web. Most inkjet printers and commercial labs use the sRGB colour space, some high-end printers use Adobe RGB. DCI-P3 is a colour space for digital movie projection used by the film industry. It covers most colours albeit with drawbacks in the green-blue range. Rec.709 is an ITU Recommendation, that sets out the standards for HDTV. The Rec.709 RGB Colour Space is identical to sRGB colour. The D50 is warm daylight set to 5000 K and D65 is daylight set to 6500 K.
Out of the box the BenQ PV270 produced excellent colours with an even illumination from corner to corner, there’s no need for the monitor to have a warm up period before doing colour correction work. For the photographer who demands accurate colour calibration then the PV270 has a facility for hardware calibration. This allows you to adjust the monitor’s image processing chip without changing the graphics card output data. 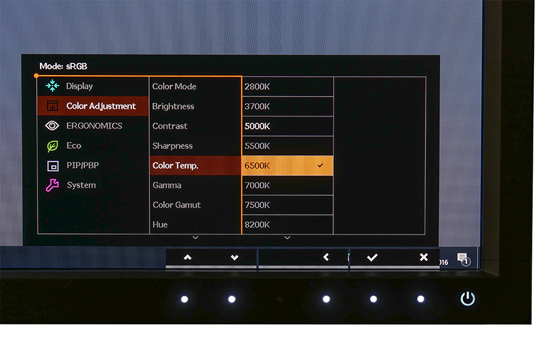 The monitor is supplied with X-Rite Palette Master Software, this can be downloaded from the BenQ web site. Use a Colorimeter to create a calibration/profile, the USB 3.0 ports are ideally located at the side for connecting a colorimeter. The calibration data is stored in Colour Mode > Calibration 1. For image editing the recommended calibration brightness is 120cd/m2 or less. 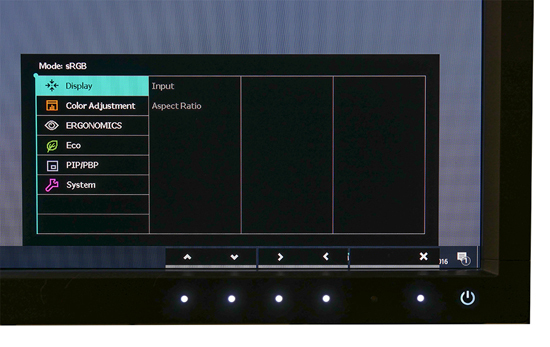 The BenQ PV270 has many advanced features such as a colour temperature sensor, which detects the light conditions around the monitor and adjusts the colour settings accordingly. The software for this can be downloaded from the BenQ web site. The backlight can also be adjusted automatically. The monitor has a light sensor, which detects the light condition around the monitor and adjusts the monitor backlight automatically. This is to protect your eyes from overexposure to bright light. If the light is sufficient, the monitor brightness is increased. 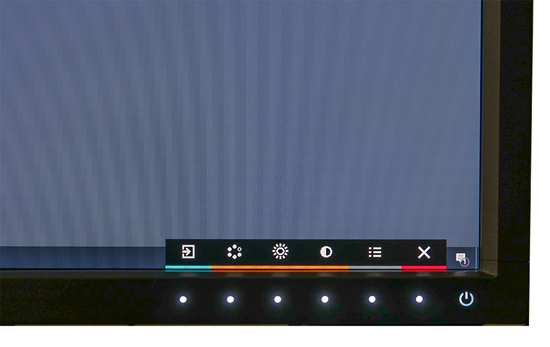 If the monitor is in a poor light, the monitor brightness is decreased. This can also be adjusted manually as the colour performance may be compromised if the light sensor is enabled.